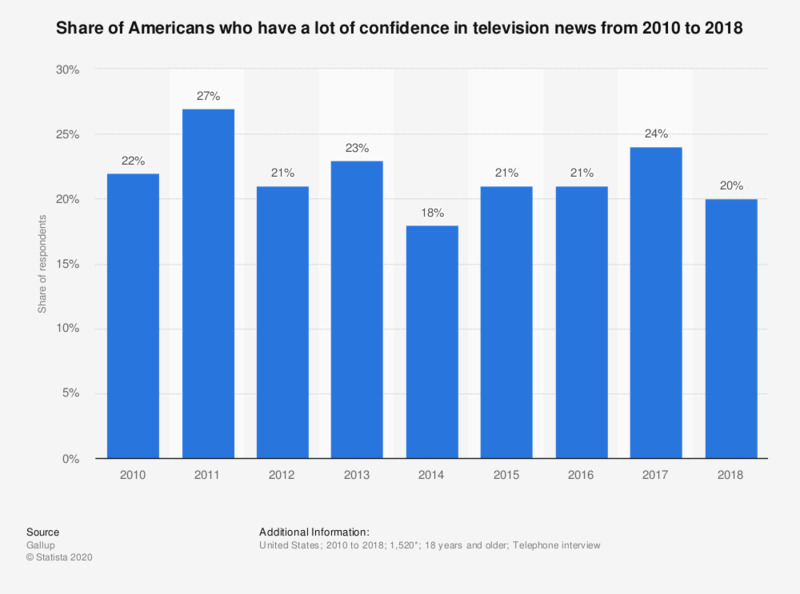 The statistic shows the results of a nationwide survey among American adults on their confidence in television news from 2010 to 2018. In 2018, 20 percent of respondents stated that they have a "great deal" or "quite a lot" of confidence in television news. *Sample number from June 2018 survey. Only those respondents who stated they have a "great deal" or "quite a lot" of confidence in television news.